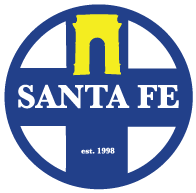 John Pannebaker- the General Manager of Santa Fe Wanderers and also a staff writer for our very own Protagonist Soccer -was able to take some time off from covering the Midwest Conference for us to answer some questions we had about this club from Kansas City. When and how were you founded? Does the club have any connections to an existing youth system? Santa Fe Wanderers KC was founded in 1998 by Hispanic/Latino immigrants in search of a better life from the northern regions of Mexico. Lorenzo Cadena, Alonzo Cadena, Rosalio Contreras, and Eloy Flores- the original founders of the team -immigrated to the United States in their early twenties in pursuit of the “American Dream,” and once established as successful business men, decided to start a local men’s soccer team in Kansas City, Kansas. It became a community tradition to attend church on Sunday morning and head straight to the field for the rest of the day to catch up with friends and family. Ever since the beginning, we have played in the first tier of the KCK Adult Soccer League, the most competitive amateur men’s soccer league in the state of Kansas. Wanderers is the oldest running amateur men's team in Kansas City, Kansas (twenty years) and has celebrated multiple championships since our foundation as Deportivo Mexico (1998), then Chihuahua FC (1999), with the club’s most recent trophy in the KCKASL being the 2017 regular season championship. Recently we wrapped up our UPSL season with a division championship and Midwestern Conference playoff appearance. We also have two teams playing in the KCKASL- our U-21 team and Santa Fe Eagles, our team for high school-aged kids from low income and refugee communities. Both were highly successful this past year, with several players from our youth teams making an appearance on our senior UPSL squad. What were the motivations behind the badge, mascot, and colors? Are there any connections to, or inspirations drawn from, other clubs in the world? Our owner, Luis Cadena, really likes the clean look of teams like Tottenham, hence the white and navy, and golden wheat was chosen to connect the club with wheat, which is a common crop in Kansas. As for the shape, the center is a compass, which ties into the Wanderers name, and the cross behind it is a connection to the faith of the club’s founders and current operators. Our aspiration is to become more of a neighborhood club, like Rayo Vallecano (where our owner has gone on trial in the past). A real institution of the community that strives to find players from its own hometown and give them opportunities. Our club’s mission is to create an environment where players from underprivileged and underserved communities can find an opportunity to advance and improve themselves, either through going to college or even getting the chance to play overseas. We want to be sustainable. Our club has existed for twenty years, and we want to be here for another twenty! But moving up to the UPSL to increase opportunities for our club and our players has brought added cost that we really need to address if we're going to be around long term. Everything we do is done with an eye on making sure our club is here twenty years from now. Do you have an existing or budding rivalry? Do you see rivalry as an important part of growing the fan side or an organization, or a distraction? Our main rival is Quinto Elemento. They've also played in the KCKASL for many years, and were our rivals there. Now they're our rivals in the UPSL. I would argue that rivalries are what make sports worthwhile. Just look at college football here in the states. Even if there isn't a prize to play for, there is pride on the line. We want more of that. More teams representing their communities, and by communities, we're talking neighborhoods. We want people to see us as representing them, as representing the community. So that when we play other teams, especially teams close by, they see us winning and beating rival teams from rival communities as a win for themselves and the community they live in. How do you feel about clubs being politically active? Should they just stick to soccer or is there a responsibility to be a part of the community? If you want your community to care about you, you need to care about your community. Sometimes that means being politically active. I'm not sure what the best way is for clubs to do that, whether it's picking a broad issue from society at large or picking something relevant to your community. I do think a lot of clubs support broad social issues as a way to raise awareness, and it gets them fans, but from around the country, not fans from their community. Nothing wrong with that, but if people aren't coming out and watching your games, who cares what you support? Be politically active if you want, but don't make that the sole focus of your club and its activities. Too many clubs are losing the forest through the trees here. I mean, what’s going to do your club the most good in your community, and your community the most good? Rallying behind big national issues, or doing a canned goods drive for the local community, volunteering at after school programs, or helping clean up city streets? Is there anything important to YOU that I missed? I want to see the way soccer is done at this level changed. More transparency from leagues towards their clubs, and everyone working together to create more sustainable clubs that are here twenty to forty years from now, whether they're still amateur or not.